What Does Amos 5:21 Mean? "I hate, I reject your festivals, Nor do I delight in your solemn assemblies. The kingdom of Israel had been divided due to their sin and yet God in His grace continued to bless His people, while warning them to turn from their sin, lest judgement befall them. Nevertheless, they broke their covenant with the Lord; spurned His grace; followed other gods and did evil in the sight of the Lord, which caused Him to raise up prophets, like Amos, to warn of approaching judgement if they did not mend their ways. Amos lived in a time of prosperity and growth, due to God's goodness and grace. He warned the arrogant citizens in the northern kingdom, of God's impending judgement. However, instead of repenting and doing the works of God, by caring for widows and orphans and following the righteous Law given by Moses, they continued to abuse the poor; indulge in extravagant lifestyles; worship other gods; engage in immorality and unjust slavery; economic exploitation; legal injustices and self-gratification. The northern kingdom proudly participated in Israel's religious festivals and feast-days, unconcerned that their hypocrisy angered the Lord. They smugly engaged in the three pilgrimage feasts, implemented by Moses. But God could not stand their hypocritical offerings and ungodly assemblies - "I hate, I reject your festivals", He thundered, "nor do I delight in your solemn assemblies". Amos warned of the Lord's approaching chastening-rod, reminding them that hunger; blight; drought; plagues; military defeat; utter devastation and captivity would befall them if they did not turn from their wicked ways. But the nation continued in their ungodly ways. The Lord is long-suffering and of great goodness. He is full of tender-kindness and loving mercy, but He is also a righteous God of justice, Who is honest and fair. The Lord purposed to fulfil His promises to Abraham, Isaac and Israel... but the nation's persistent refusal to repent, ignited God's burning anger against them, so national judgement became the inevitable consequence. 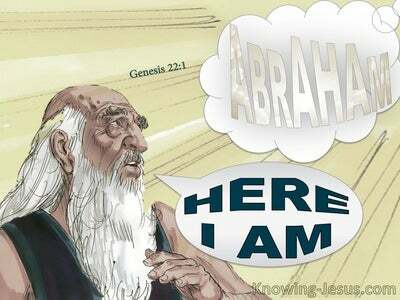 Israel's rebellion exhausted the patience of the Lord and the northern kingdom would soon be carried away into slavery. 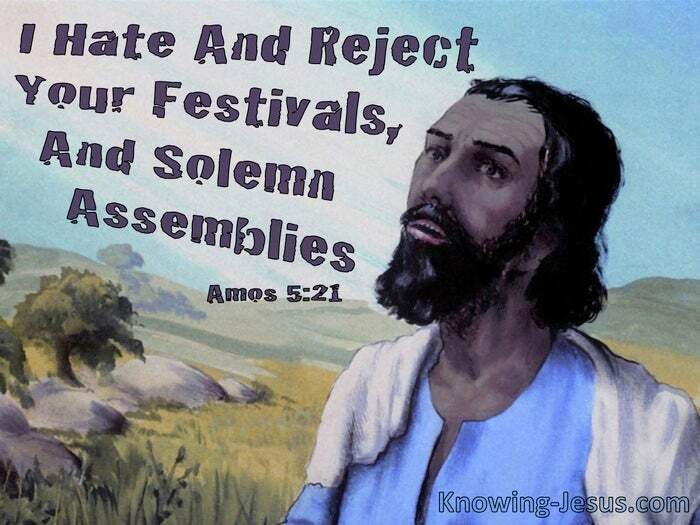 Amos also addressed a challenge to Israel's faithful remnant, who anxiously awaited the promised 'day of the Lord'. They knew from Isaiah it would be a time when their enemies would be routed; the wolf would lie down with the lamb and a lion would eat straw like an ox. But because of the nation's evil, God's wrath would have to precede His promised time of peace and prosperity, and His few faithful followers were warned not to long for the day of the Lord - for it would be a day of deep darkness and terrible gloom - and would bring with it the severest judgement upon His people, Israel. Amos appealed for the people to repent of their sins and return to the Lord, but also warned that because of their sin His righteous wrath would be the forerunner of His promised kingdom. The little remnant was reminded that the Lord is Spirit, and where the Spirit of the Lord is, there is liberty. Despite the knowledge that God's wrath and terrible judgement would precede His promised kingdom, their salvation was assured, and their freedom and liberty remained God's never-failing promise to His people. The nation had anticipated that the day of the Lord would punish the wicked Gentile nations, but it must have been a shock to realise that judgement had been assigned to God's chosen nation as well. But no doubt these words of Amos must have brought respite to that little remnant of believers - now the Lord is the Spirit, and where the Spirit of the Lord is, there is liberty. As Church age believers we are prone to shake our head in disapproval at Israel's continued arrogant apostasy; gross immorality; unjust slavery; economic exploitation; legal injustices and self-gratification. 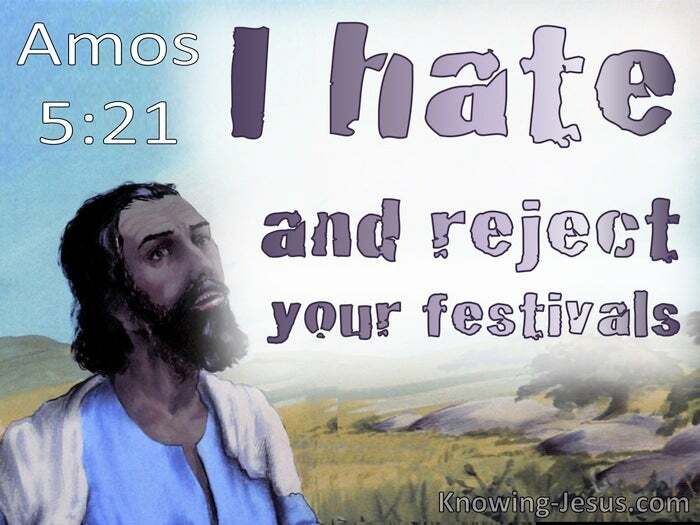 We understand why God said, "I hate, I reject your festivals, nor do I delight in your solemn assemblies". But how many of these ungodly activities are found lurking in Church corridors and congregational activities of our time. Let us never become complacent in our own righteousness, but seek to do justice, to love kindness, and to walk humbly with our God. Let us be faithful to our calling and thank the Lord that He is a good and faithful God, and is long-suffering and of great kindness. Let us rejoice that the same God that cares for Israel loves and cares for us and has promised to finish the good work He has started in each of our lives - just as He will finish the good work He started in His people Israel. Let us praise His holy name that the indwelling Spirit of God has promised to lead and guide all those that trust His word and obey his command and let us rejoice that in Him is the spirit of liberty and eternal freedom. Heavenly Father, how we thank You for the lessons we can learn from Israel. I pray that I may eschew the evil and do the good for Your greater glory. 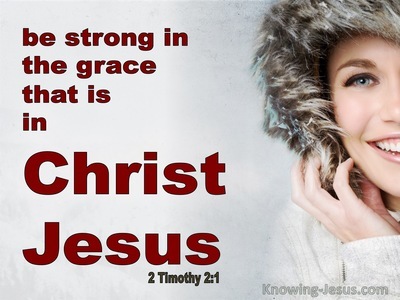 Thank You that Christ is our blessed Hope and in Him there is grace and liberty. Keep me low at the cross and broken before You and complete Your perfect plan of redemption - for both Your Church and the people of Israel, and bring many to that point of repentance we pray - in Jesus' name, AMEN.